Select the image you want on the back of your cards. Above is an approximate preview of how image will look on the card when printed. Drag the corners of the box to make changes. One of our most popular choice of playing cards for children aged 5 - 15 is our trump cards. This is a card game where each card will compete against your opponents to score the highest for different features. For example, a football player being tested on their speed, attitude, goals scored etc. You would then share one score from the same category with the group of players and see who scores the most. But what's better than trump cards? Personalised trump cards! With these, you will be able to customise your cards to suit your friend, family member or yourself. 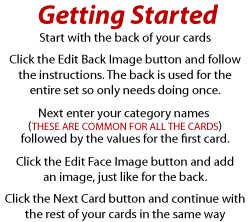 Please follow our systematic guide on creating our personalised trump cards. 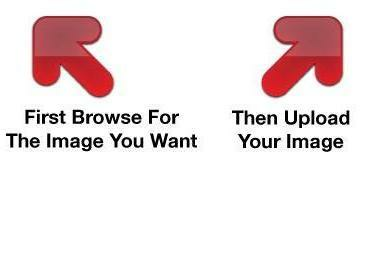 This will enable you to design and create your cards to be exactly how you wish. If you would like further information on the personalised playing cards we provide, please contact us via email info@personalisedplayingcards.com. From there, we will be able to help you in whichever way possible. Thank you.